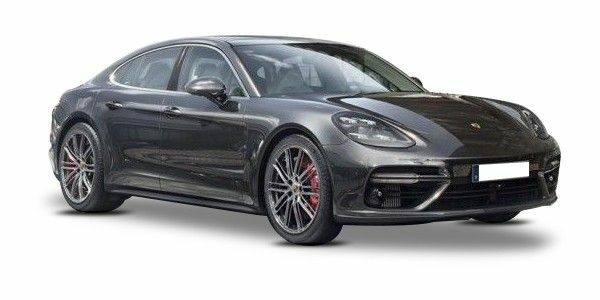 Porsche Panamera prices start at Rs. 1.89 crore for petrol and goes upto Rs. 2.53 crore. The prices of Panamera diesel variants start at Rs. 1.15 crore and the top-end diesel is priced at Rs. 1.15 crore. Porsche Panamera is available in 9 variants and 15 colours. The claimed ARAI mileage for the Porsche Panamera petrol is 10 kmpl, and for the Porsche Panamera diesel is 18 kmpl. One of the practical Porsche offering Panamera comes at asking price of Rs 1.15-2.16 crores (ex-showroom, Delhi). The design of Panamera is quite functional and it comes with all the signature Porsche design elements. The LED headlamps, prominent character line, wheel arches, and dominating rear spoiler, all come together to give Panamera a unique and striking personality. The Cabin oozes loads of luxury with everything right from the leather seats to touchscreen infotainment system features impeccable quality and exquisite material. Under the Hood, the Porsche Panamera comes powered by a 3.0-liter diesel (250bhp/550Nm), a 4.0- liter petrol (542bhp/770Nm) and a 4.8-liter petrol (542bhp/770Nm), all mated to an automatic transmission. The safety front is catered by the six safety airbags and anti-lock braking system with electronic stability program. The Porsche Panamera in India has got the likes of Nissan GT-R, BMW 7-series, Audi RS7, and Mercedes Benz S-class in its crosshairs. 2014 Porsche Panamera & Panamera Hybrid: In Pictures! Porsche at the 2012 Qatar Motor Show : In Pictures! Porsche Panamera Diesel: In Pictures! And it’s available as a station wagon too! This is the second generation Porsche Panamera and is an exciting blend of luxury and driving dynamics.